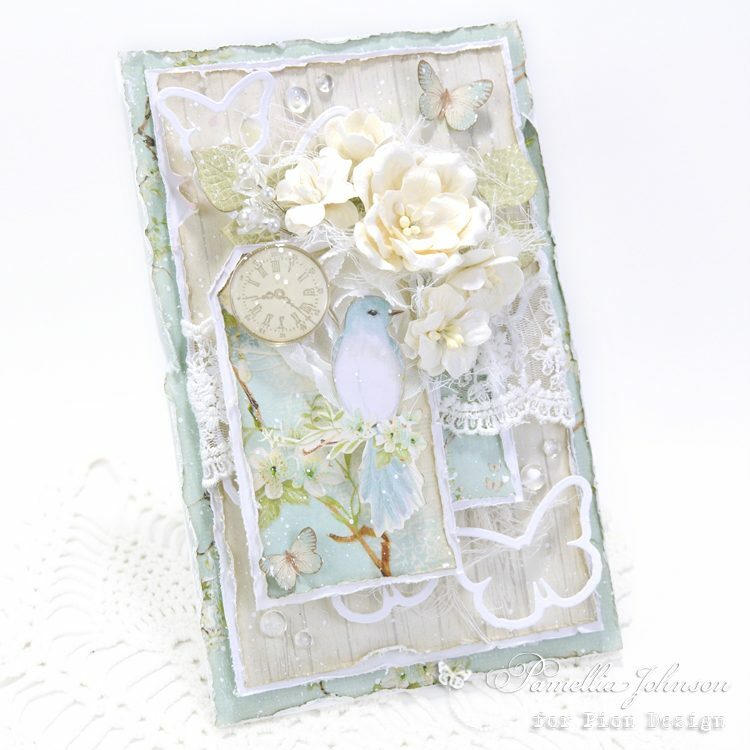 Today I am excited to share this all occasions card featuring the gorgeous papers from the two latest Pion Design collections, “The Songbird’s Secret” and “Where the Roses Grow”. 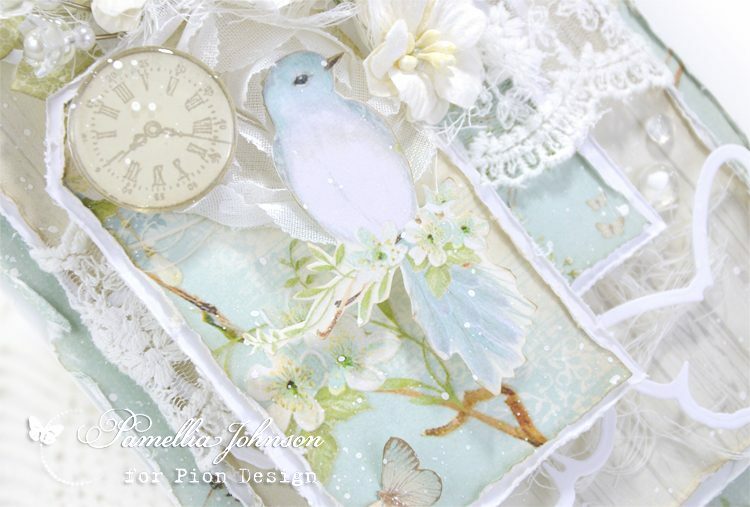 A delightful combination with the soft greys and blues, don’t you think! 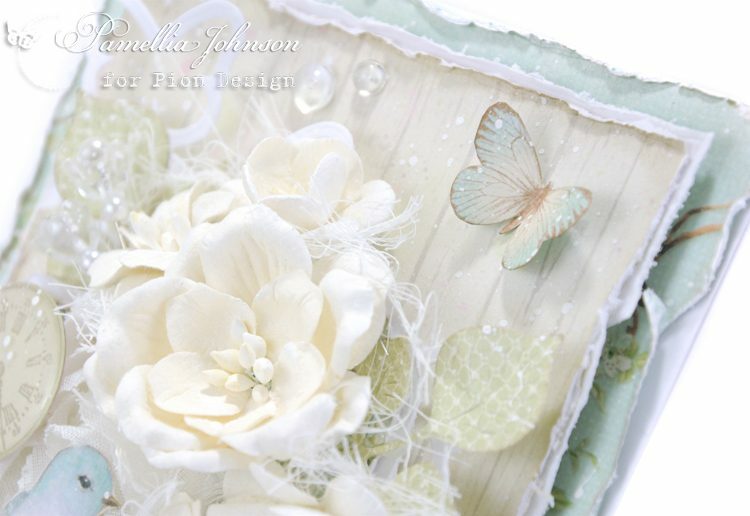 Lighter than air, and so pretty! What a soft and beautiful card wowwww.